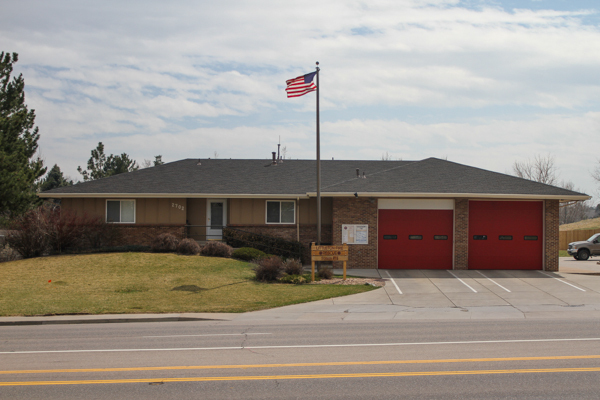 Fire Station 15 was located at 2702 E. Dry Creek Rd. 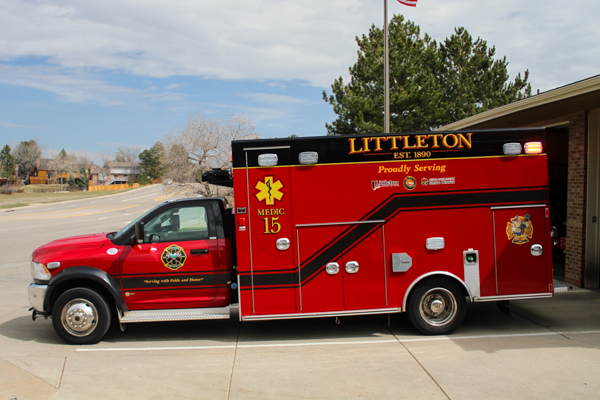 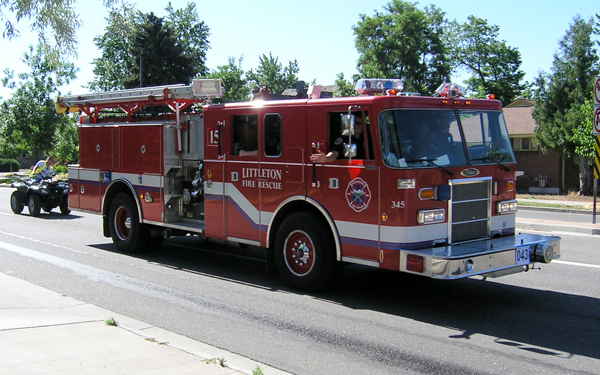 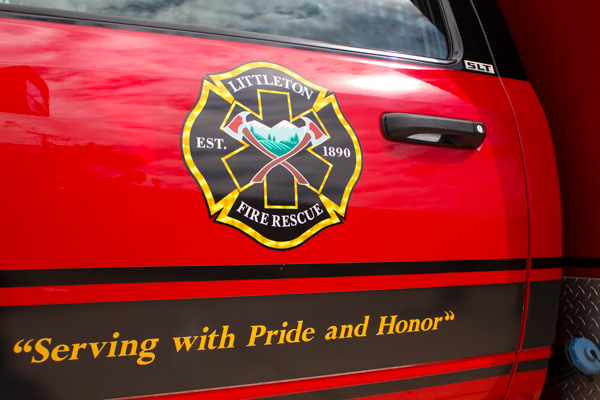 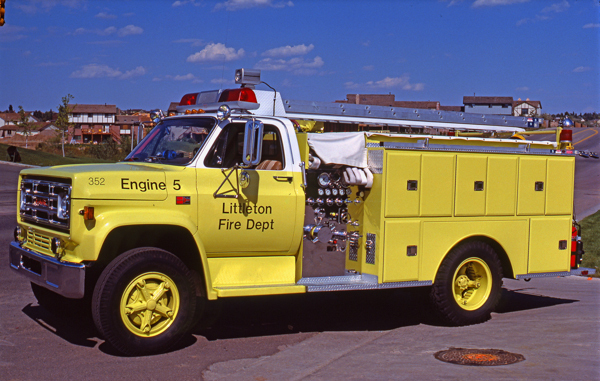 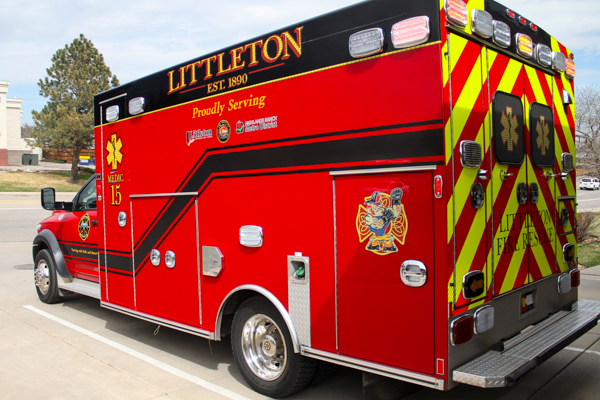 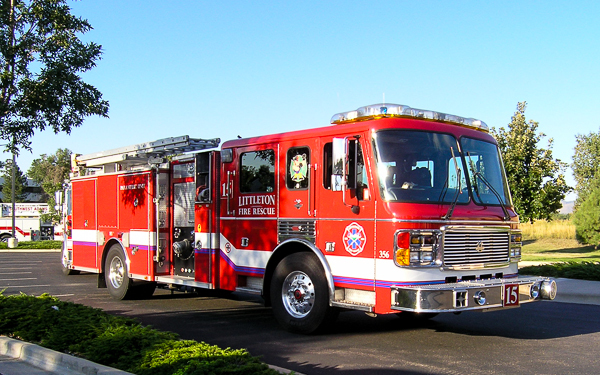 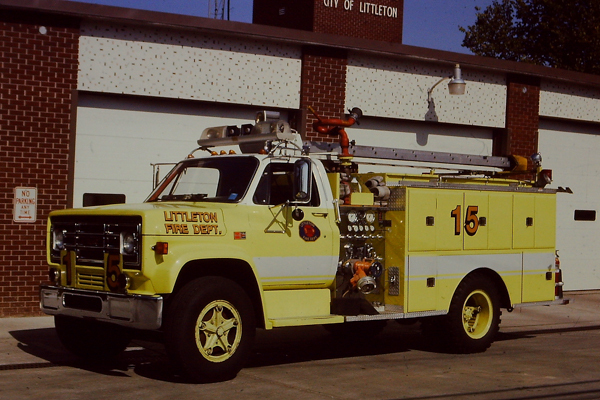 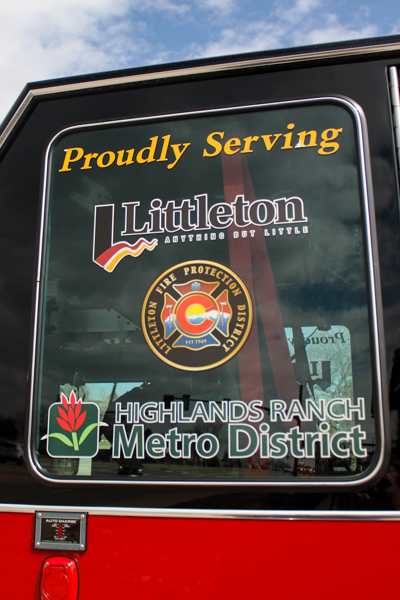 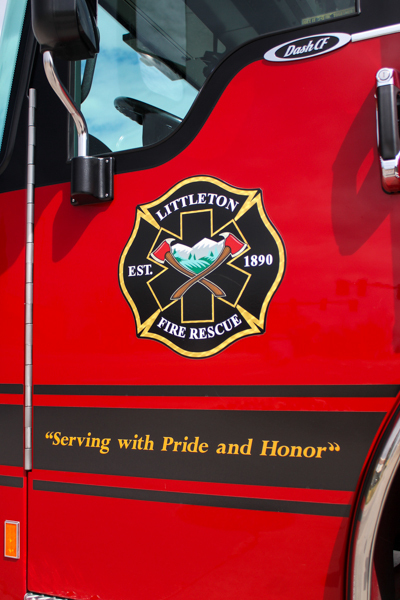 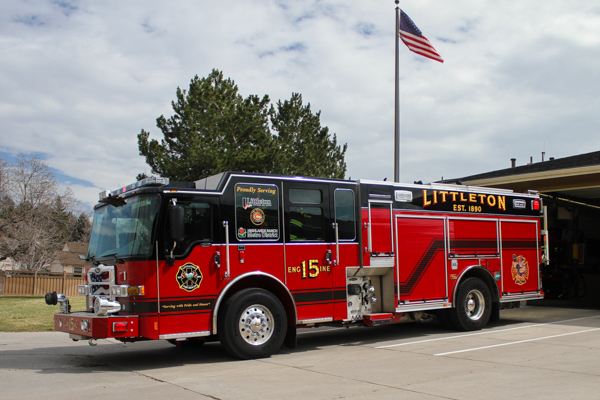 in Centennial, built in 1979, part of the Littleton Fire Protection District and was originally built as a temporary firehouse. 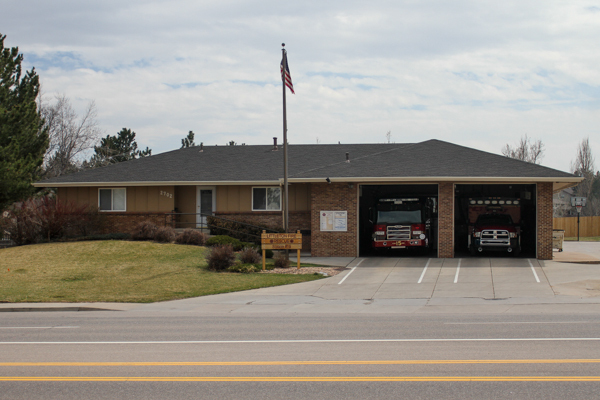 The floor plan was built to be like a single family home with a walkout basement for resale. 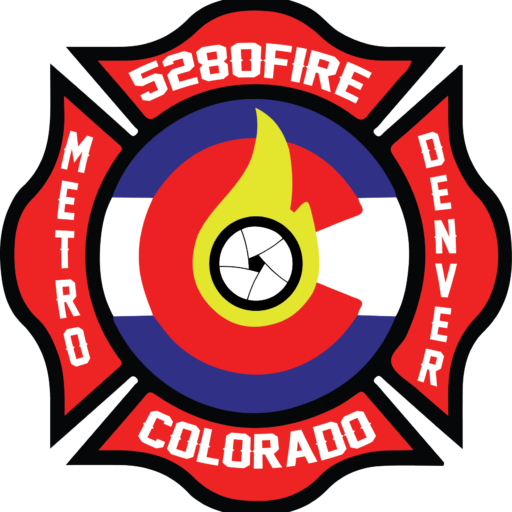 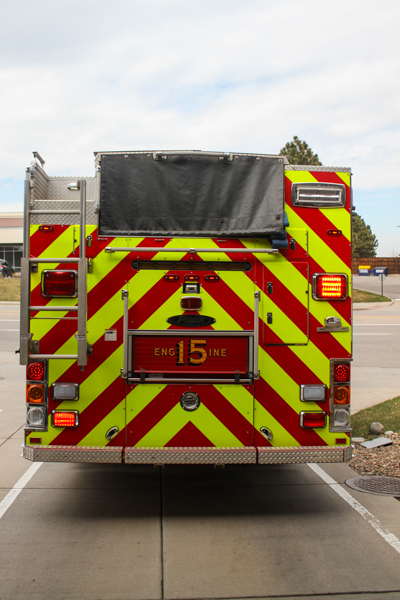 Station 15 protected a mixed area of residential, commercial and retail including the Streets of Southglenn and several miles of C-470. 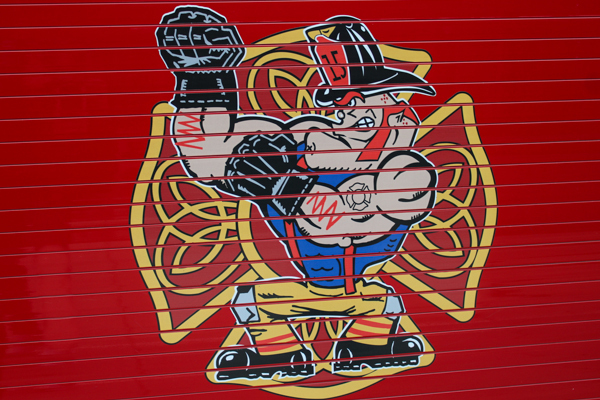 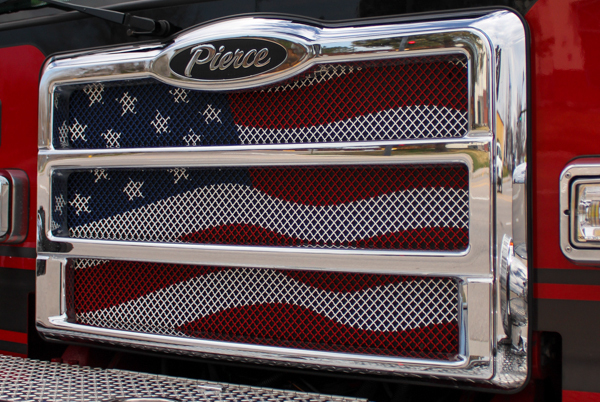 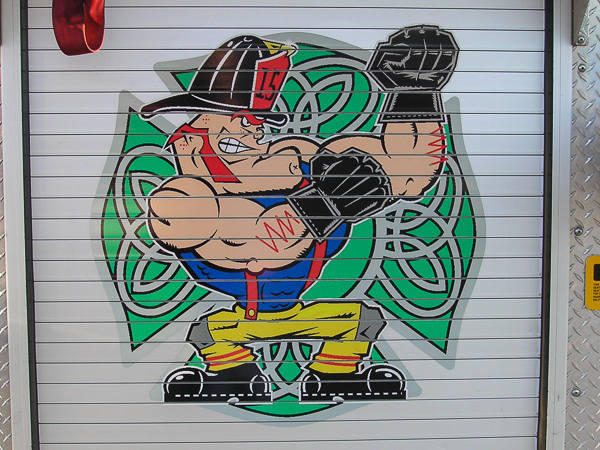 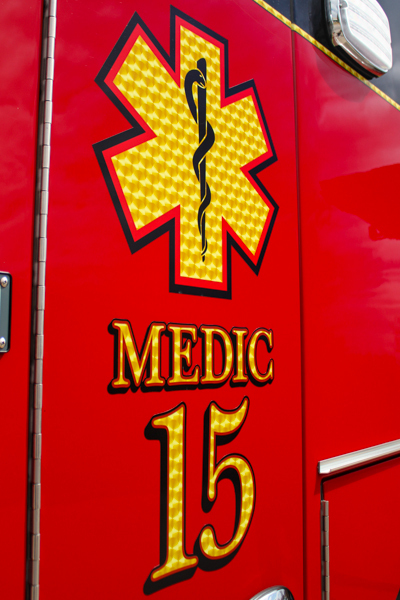 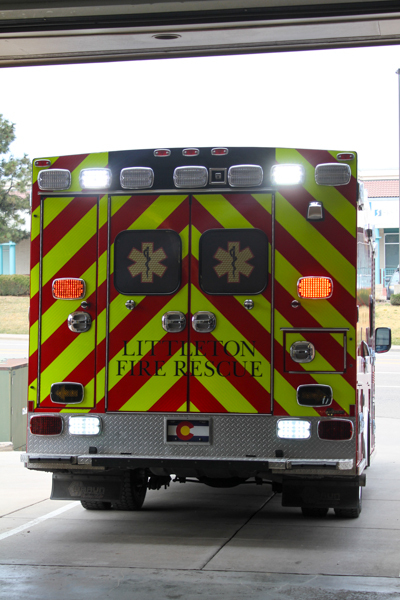 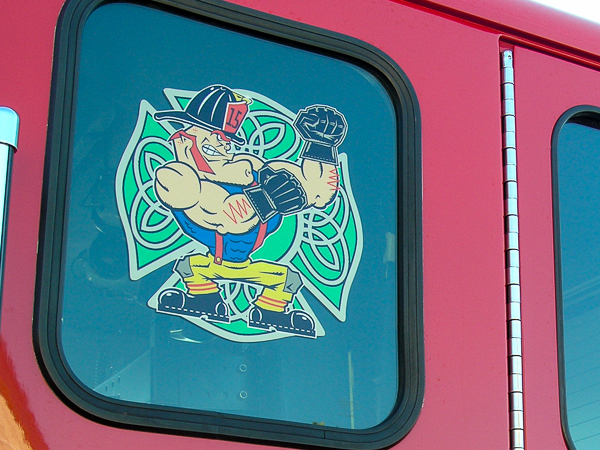 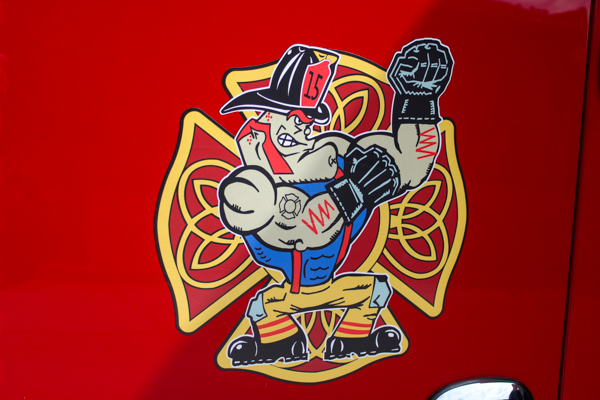 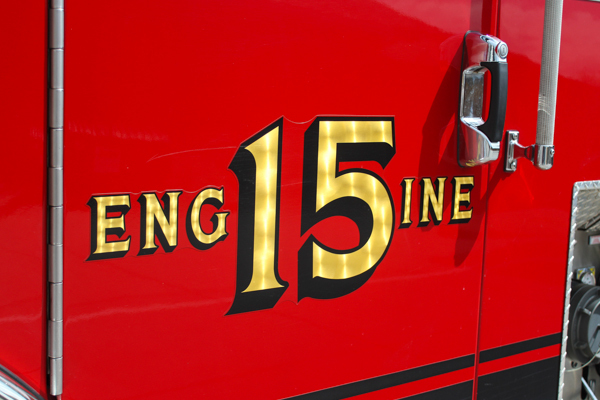 Station 15’s motto was “Fightin’ 15’s” with a Fighting Irish logo on their rig. 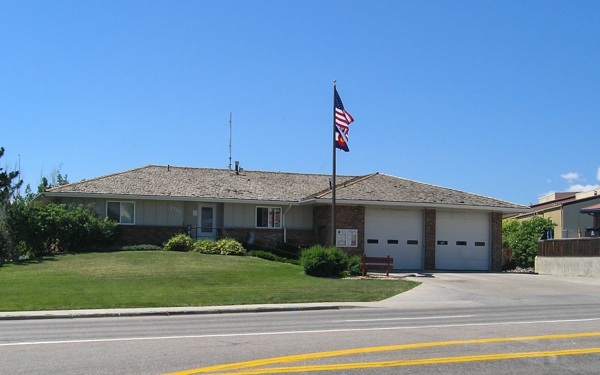 This station became South Metro Fire Rescue Station 15. 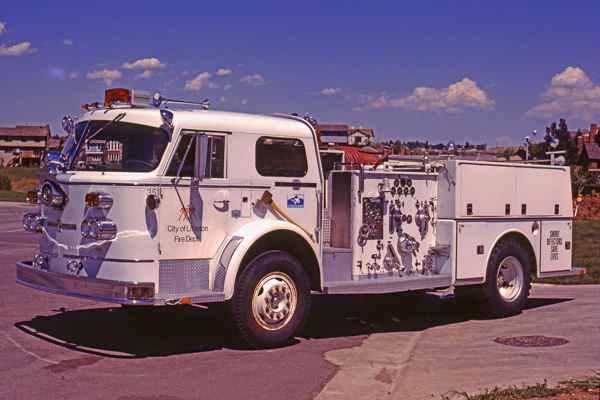 Engine 5 (351) 1971 American LaFrance 900. 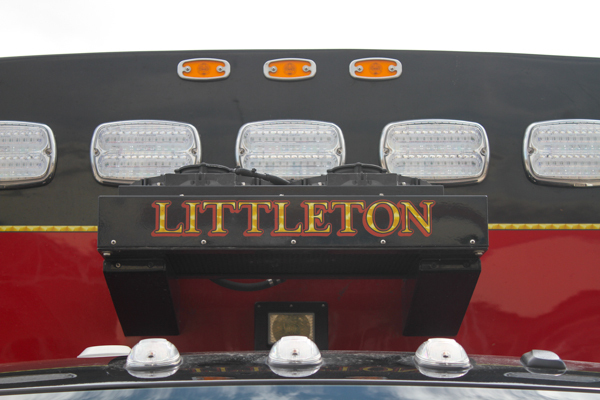 Shown here repainted and updated graphics. 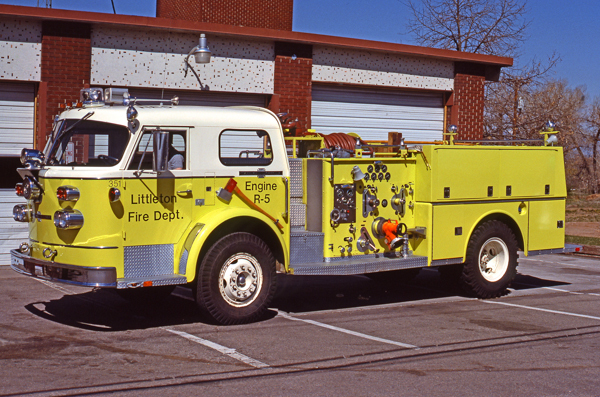 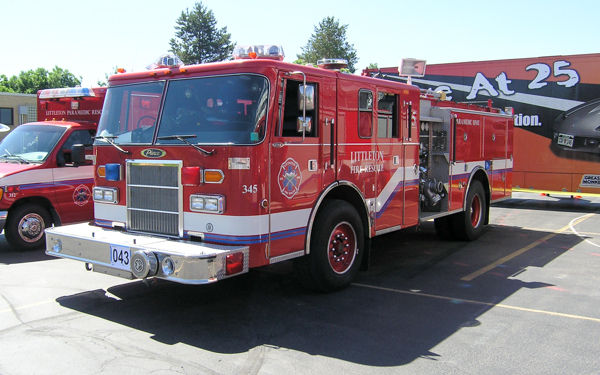 Engine 5 (352) 1981 GMC 6500 / Sutphen, also ran as Engine 15. 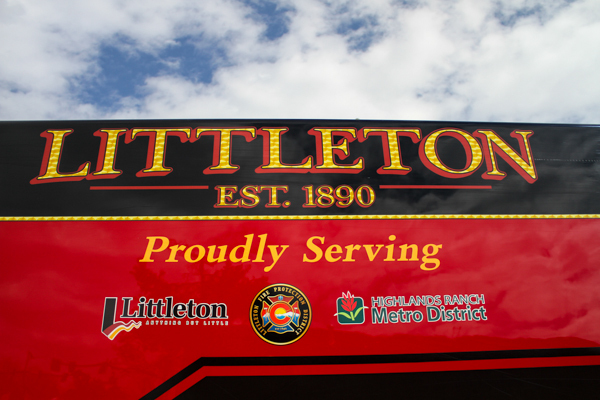 Shown here with the updated graphics and logo. 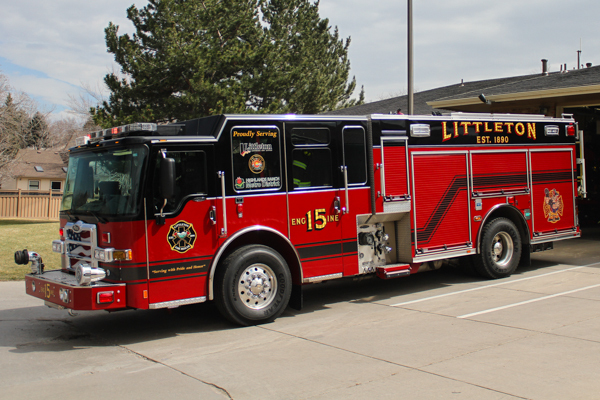 Engine 15 (345) Pierce Lance, also ran as Engine 13 & Engine 14. 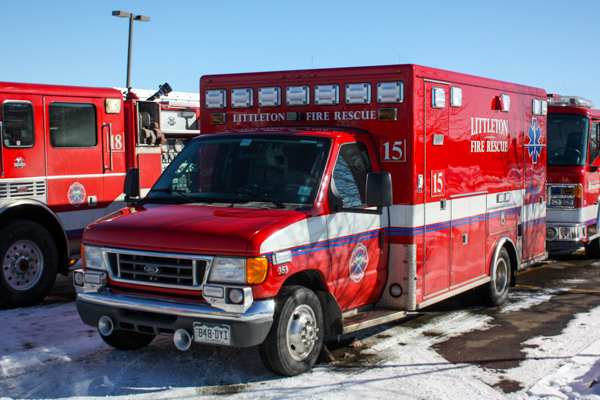 Medic 15 (353) 2007 Ford E-450 (10651) / McCoy Miller, also ran as Medic 12. 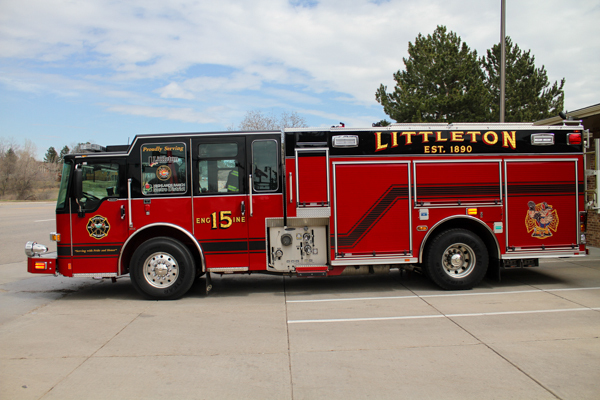 Engine 15 (355) 2013 Pierce Dash CF PUC (27763) 650 gallon water tank / 1250 gpm pump with foam (Husky), became South Metro Fire Rescue Engine 15. 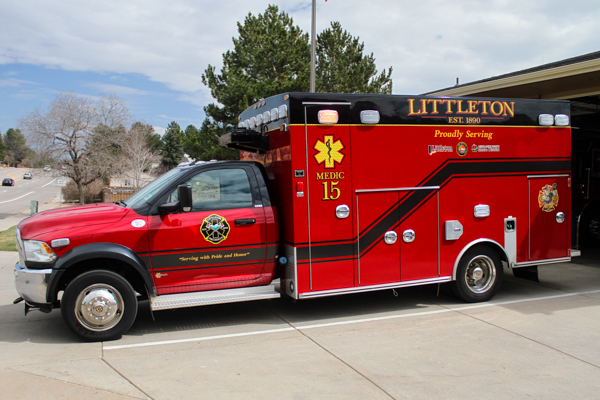 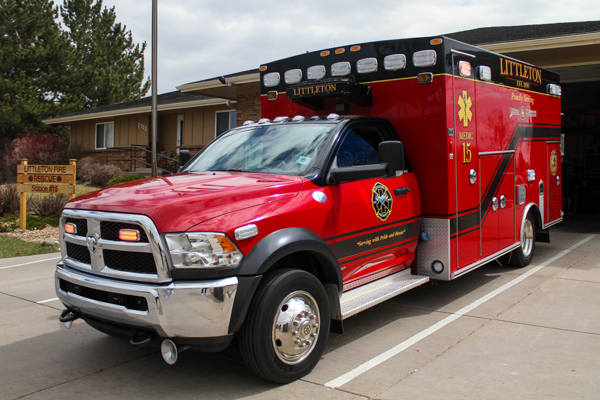 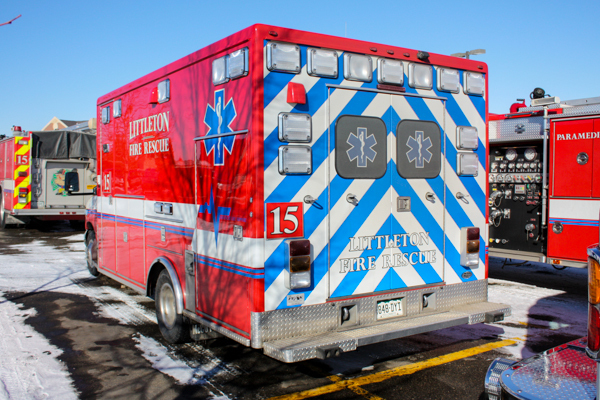 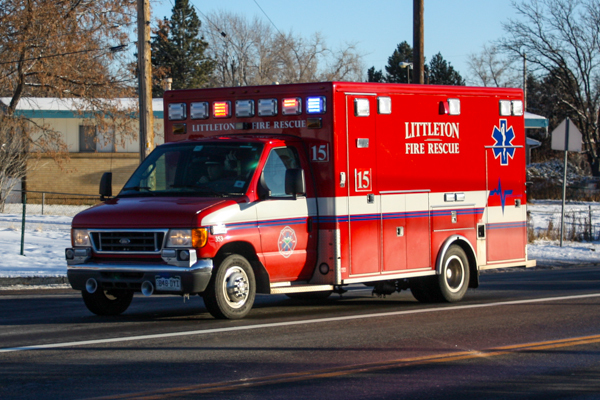 Medic 15 (357) 2015 Dodge Ram D-4500 4X4 / Braun (6232) Chief XL, became South Metro Fire Rescue Medic 15.